Growing up with Vietnamese origins in Singapore, Lunar New Year has always been a rather important time of year for myself and my family. After so many years celebrating the New Year in Asia, my celebrations in Paris took some time to get used to. That said, it is important to remember that while generally, traditions are similar, each family celebrates Lunar New Year slightly differently. While lion dances (an ancient Chinese celebratory tradition) can still be spotted around Paris, there are much fewer, resulting in a less chaotic feeling that can be found in Asia. Culturally, fewer traditions are upheld in the modern era; only the most important have been kept overall, such as offerings and prayers to ancestors, or the ones families seem to care most about, which is usually food. Lunar New Year follows the cycles of the moon, as opposed to the sun. This year, Lunar New Year fell on Saturday, January 28, introducing the 10th animal out of the 12 in the Chinese Zodiac, the rooster. Depending on which part of Asia one is from, their traditions may vary. As a mainly Vietnamese family with Chinese family members, we now have mixed traditions. Friday was the Lunar New Year's Eve, which meant that everything had to be prepared for the rest of the Lunar New Year that day. Food had to be cooked, the house had to be cleaned, we had to be fresh, and if possible, new clothes had to be bought. Once midnight on Friday night struck, there was to be no more cleaning or preparing until midnight on Saturday night. My aunt always said that if we swept the floor or took a shower, we would be pushing away prosperity. New clothes also referred to wealth, as coming into the New Year wearing something new represents great things. Almost everything we do on Lunar New Year is based on old superstitions, even the food we cook. 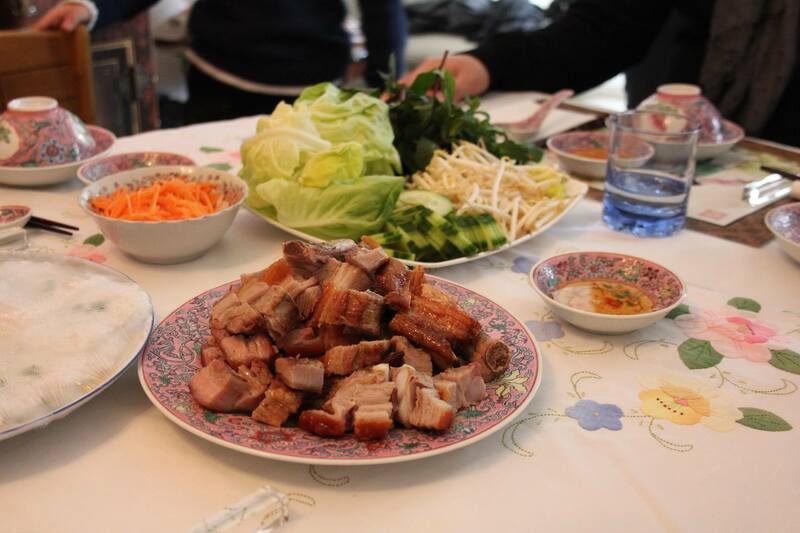 In fact, food is one of, if not the, main aspects of the Lunar New Year. On the official day of Lunar New Year, Saturday, my paternal grandparents cooked mini egg rolls (chả giò), roast pork with vermicelli noodles, a sticky rice "cake" (bánh tét), and a pork broth noodle soup. 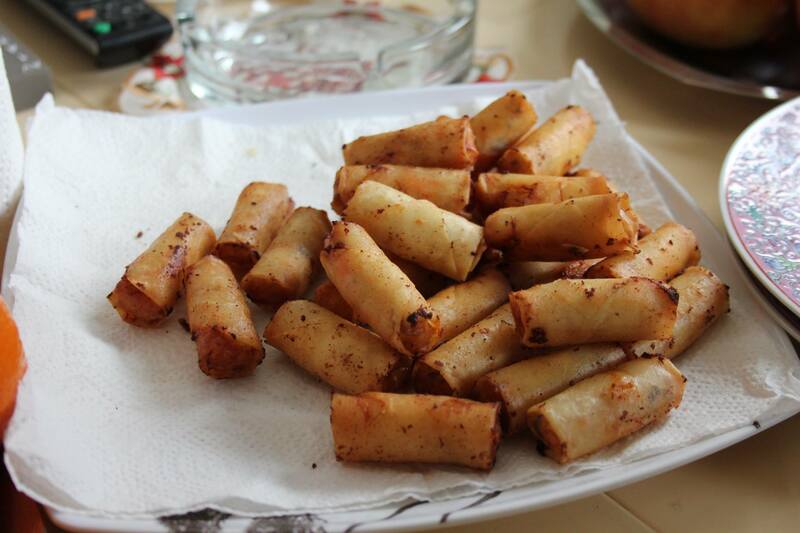 The egg rolls represent gold bars, roast pork is thought to bring luck because of its red skin, and noodles imply longevity (noodles are also common on Chinese birthdays—the longer the noodles, the luckier). This year, all of my meals for the Lunar New Year were extremely light—at least relative to past years. Before eating, we make offerings to our ancestors by placing what is often their favorite foods (usually, it also ends up being what we eat that day) in a plate with tea in front of a shrine. 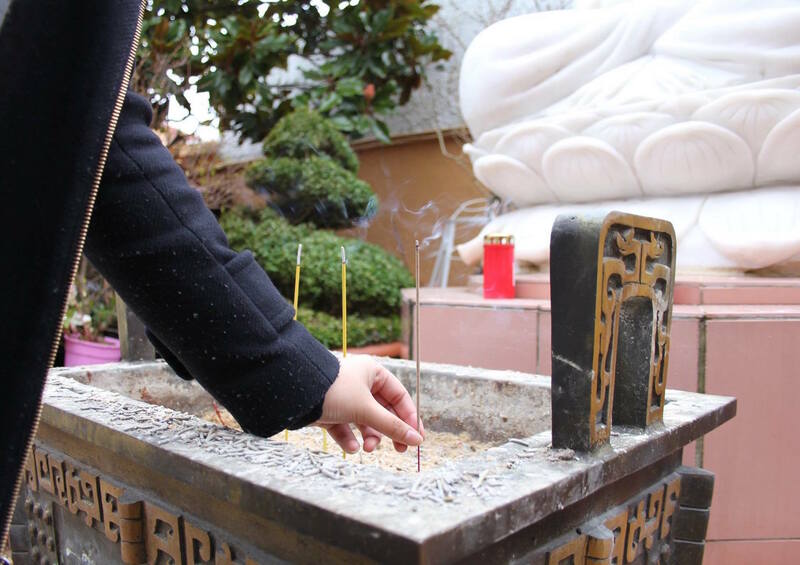 We then light incense sticks and pray to our ancestors—aside from eating, praying is what we do most during Lunar New Year. After lunch, we all exchanged red packets (what I grew up calling "hóngbāo" (Mandarin) or "âng-pau" (Hokkien), while my aunt has known them as "lai see" (Cantonese)). 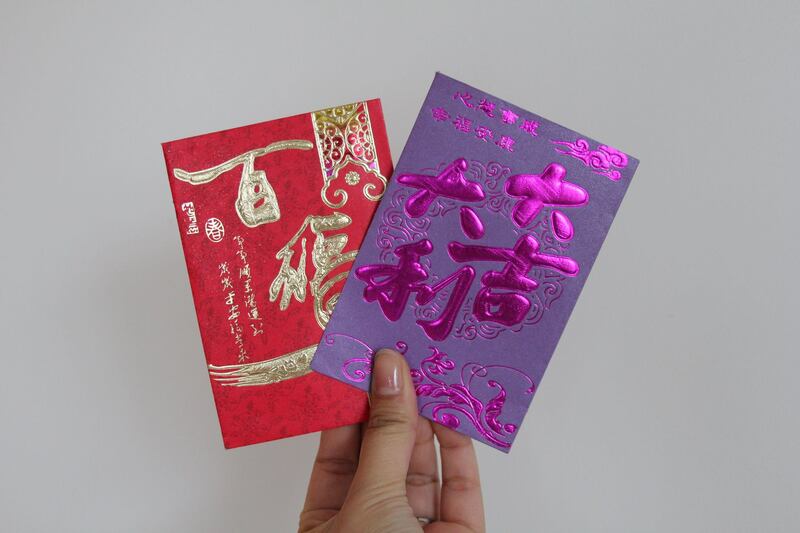 Red packets should contain brand new bills (more superstition) and are a way of sending people your best wishes into the new year. 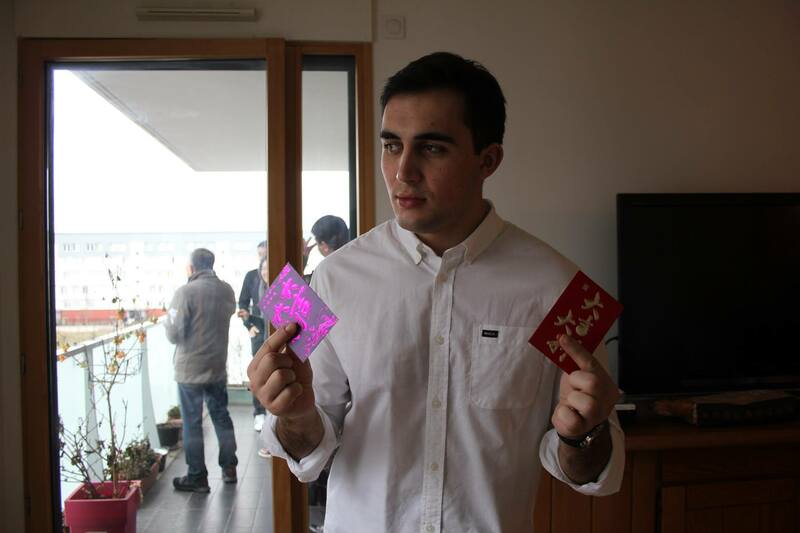 While some may choose to give relatively large amounts of money through red packets, the gesture is traditionally symbolic. 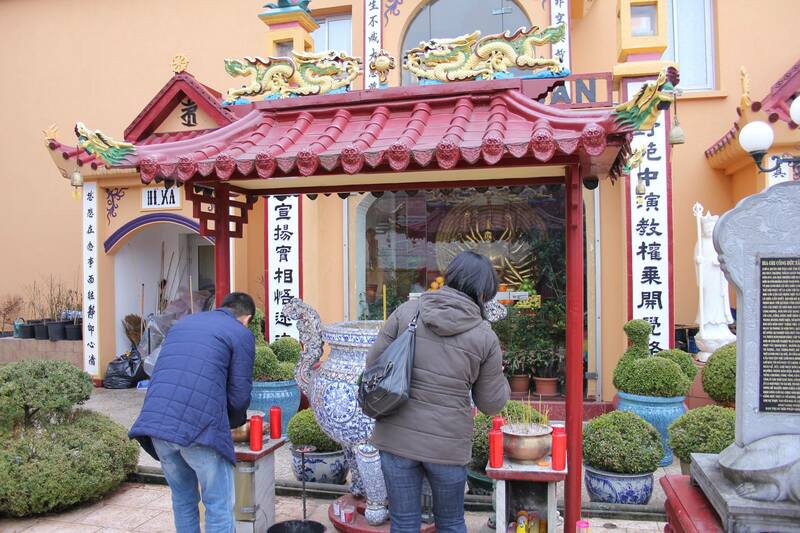 When I was a child, I had to kneel before my parents who were sitting in chairs, and wish them good health, fortune, and happiness for the New Year—in Vietnamese. This all sounds relatively easy to do, except I can hardly tell people that I don't speak Vietnamese in Vietnamese. My parents had given up on making me memorize what to say and would get me to repeat after them. Later that day, we headed over to my maternal aunt's home. On Lunar New Year, it's very common to hop from home to home to make sure you see everyone you need to. 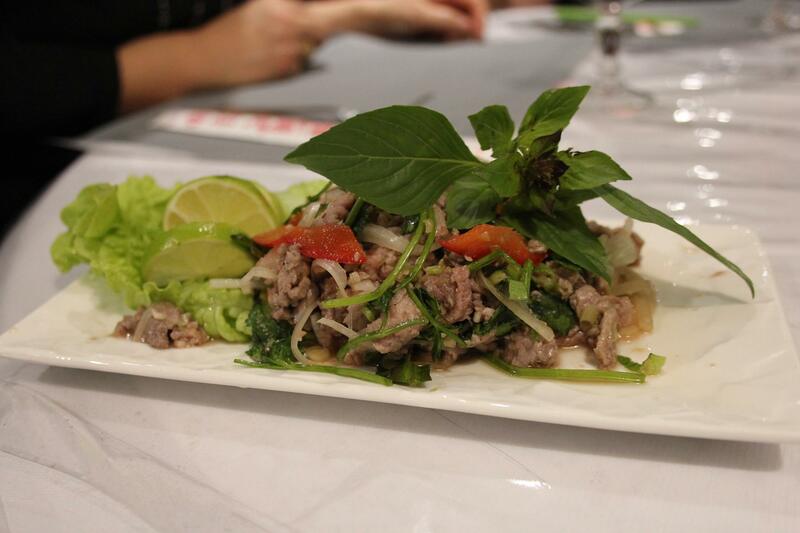 Because it was a large gathering with family friends, we all went to a family friend's Vietnamese restaurant,. 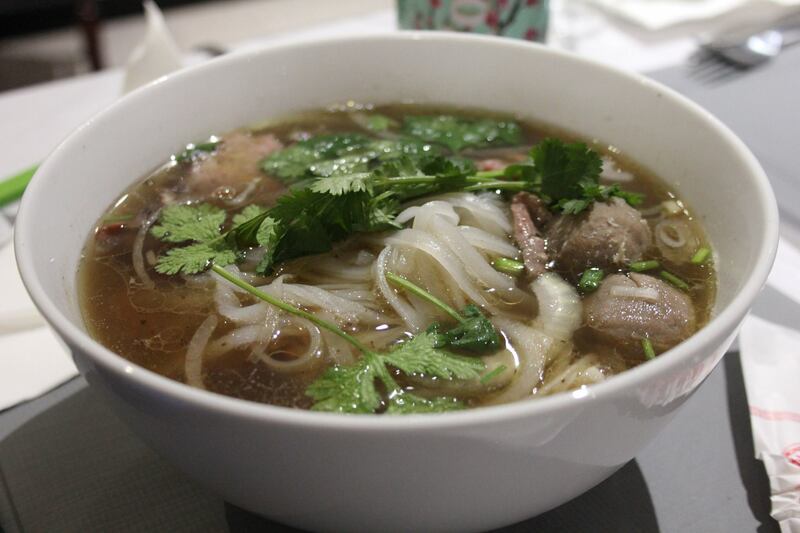 We ordered multiple of the same appetizers: beef salad, prawn salad, and steamed rice rolls (bánh cuốn); and then more or less the same main courses: phở and another noodle soup, bún bò huế. The Vietnamese often like to drink beer, but when in Paris, we drink red wine. 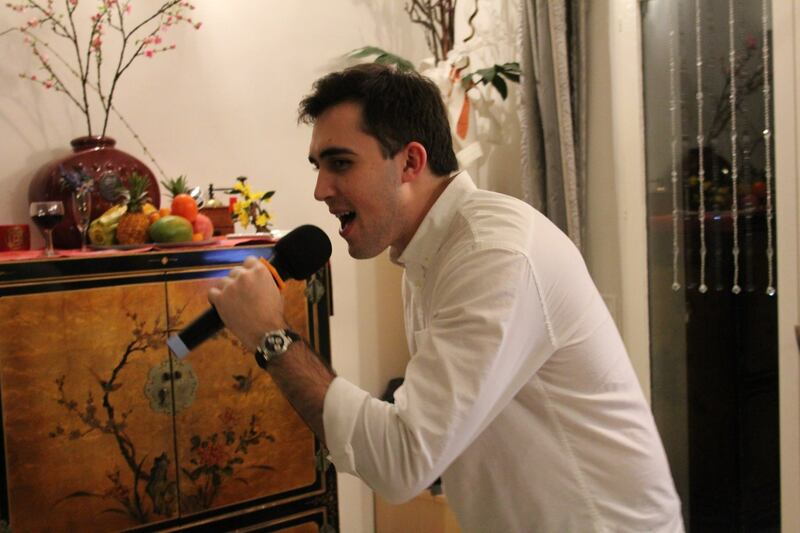 Popular in Asian culture are late night karaoke sessions, so we went over to my aunt's mother-in-law's house for karaoke jusqu'au petit matin. Lunar New Year technically lasts fifteen days, but we often celebrate it over just three. On Sunday, our last day of celebrations, we went out to the temple with my maternal grandparents, uncle, and aunts, to pray to my great grandmother. This is something my family in Paris has done every year since they arrived in Paris many decades ago; however, I hadn't been since I was a very young child. In Singapore, we didn't feel the need to go to the temple for the Lunar New Year. Besides the fact that the temple we go to to pay our respects to my great grandmother is in Champigny, it may also perhaps be because we were already immersed in cultures similar to our own. A good majority of people in Singapore will celebrate the Lunar New Year, even if it is not part of their own culture. 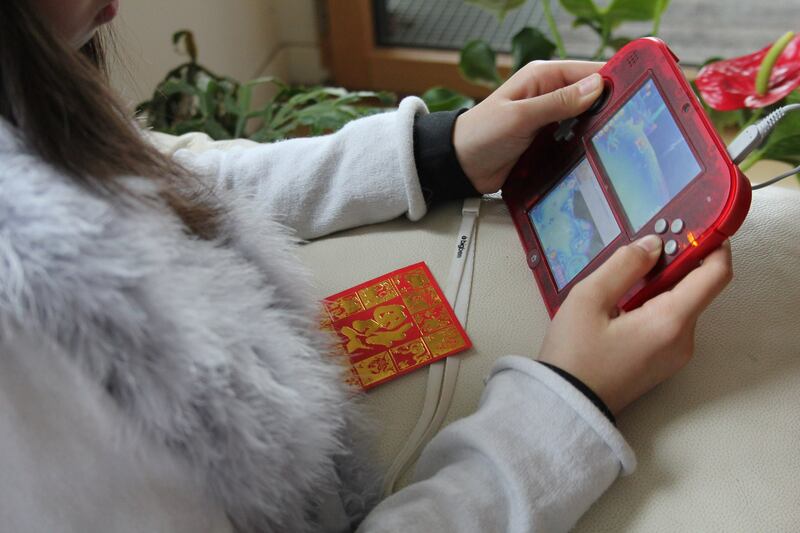 Lunar New Year traditions have changed, and will likely continue to change, as the world becomes increasingly interconnected. While I don't think my celebrations for the Lunar New Year in Paris this year were as authentic as they could have been, it was most important to be surrounded by family and at least try to keep a handful of traditions alive. I have come to understand that Lunar New Year in Paris will never be the same as in Asia, and that's okay. As W. Somerset Maugham once said, "Tradition is a guide and not a jailer."